Allen Sherrod, a resident of Groveland, Florida, will attempt to set a new Guinness world diving record staying in saltwater for three days (from Tuesday, Oct 25 at 8:00am to Thursday, Oct 27 at 8:00am). 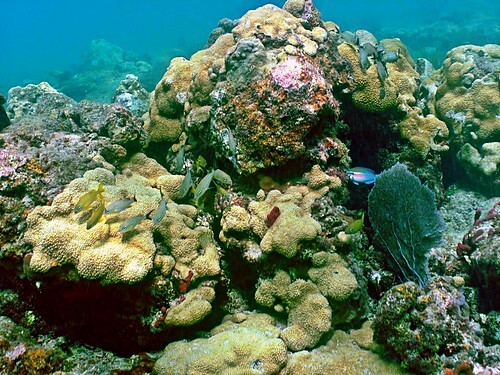 This will take place in the Town of Lauderdale-By-The-Sea – the so-called ‘Shore Dive Capital of South Florida,’ just south of Windjammer, where there is a vibrant artificial reef very close to the beach that stimulates faster coral growth by using low-level electric current. A diving instructor for already 11 years, Sherrod has recently set a world record for the longest freshwater dive, staying in freshwater at a Central Florida lake for five days. However, this record presents a new challenge for the diver because this is the Atlantic Ocean, which according to him, is an uncontrolled environment, like ‘a roll of the dice,’ where bad weather and strong currents could this or that way affect the diving attempt. Presently the longest saltwater record (48 hours, 8 minutes and 7 seconds) holds William Gordon, who set it in Indonesia, in 2010. During the dive Sherrod will need around 35-40 tanks. He will limit his food intake to liquids (Gatorade and chocolate Ensure) and he is even expected to sleep. At least one safety diver will surely keep an eye on him overnight. For the members of the Town’s business community this event will help raise funds for the new artificial reef, the solar-panel buoys of which were recently damaged during rough seas.